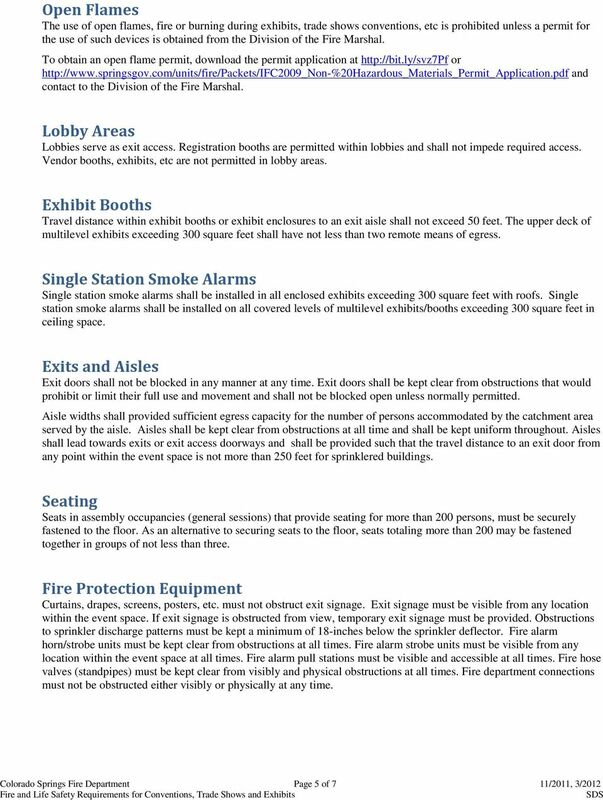 Download "FIRE AND LIFE SAFETY REQUIREMENTS FOR CONVENTIONS, TRADE SHOWS AND EXHIBITS"
CHAPTER 24 TENTS, CANOPIES AND OTHER MEMBRANE STRUCTURES > SECTION 2401 GENERAL 2401.1 Scope. 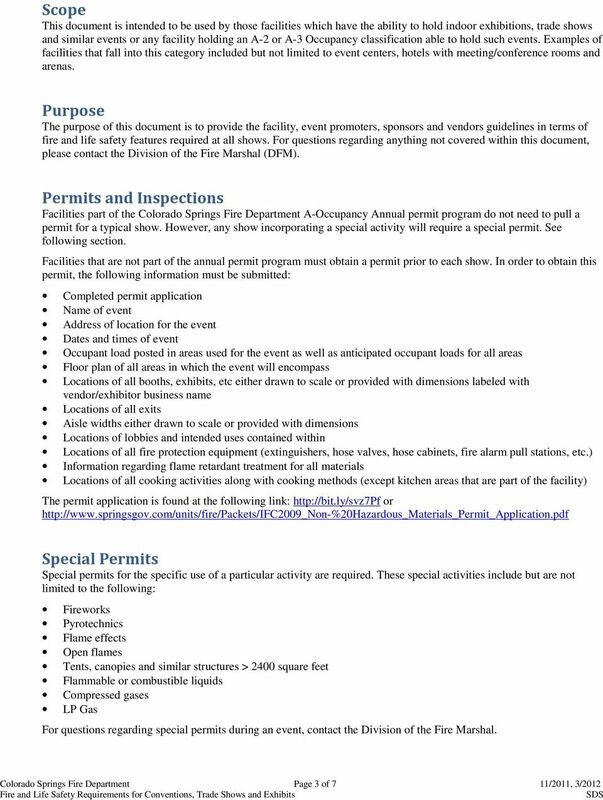 Tents, canopies and membrane structures shall comply with this chapter. 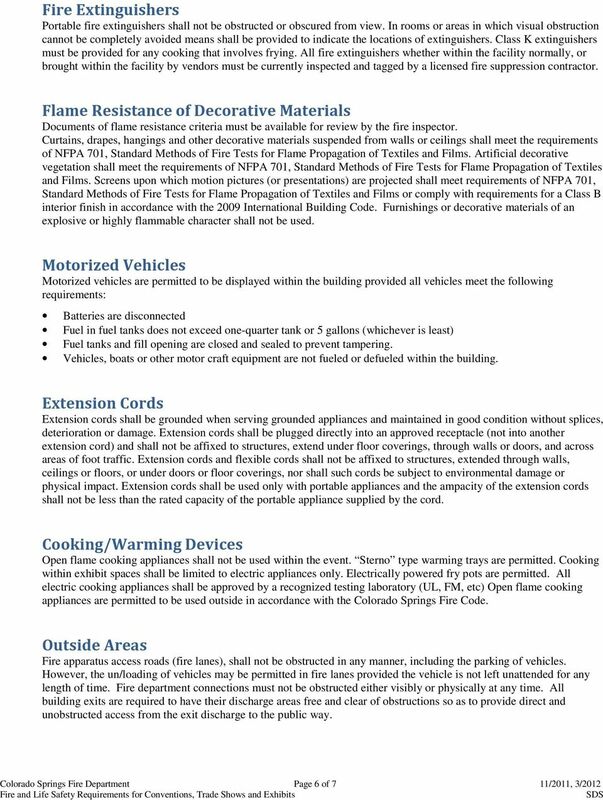 SECTION 2402 DEFINITIONS 2402.1 Definitions. 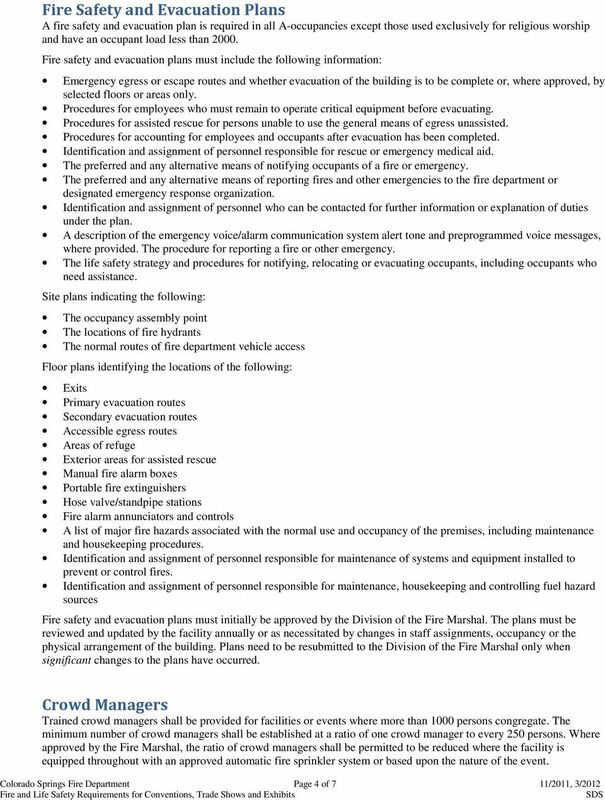 FIRE AND SAFETY REGULATIONS Fire Prevention reserves the right to make any final decisions regarding the outlined requirements, according to Section 2-36-220 of the Municipal Code of Chicago on Fire Prevention. 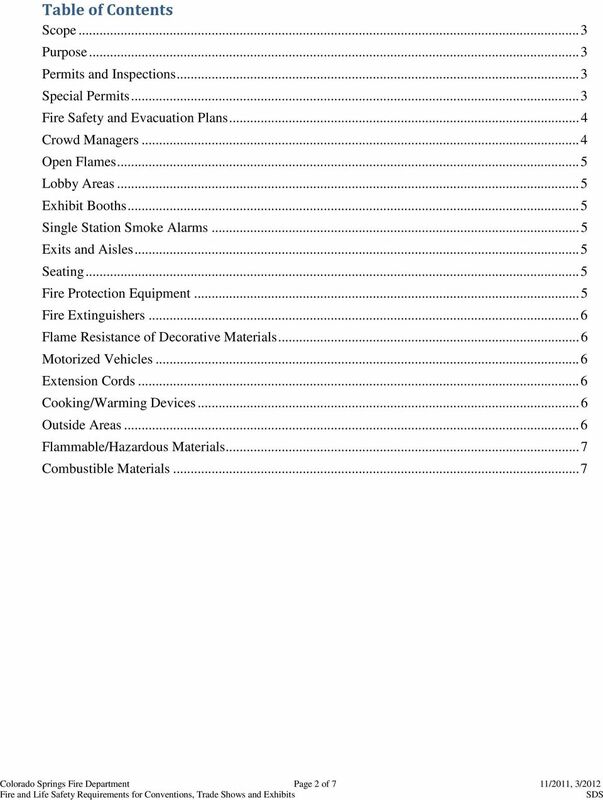 This chapter discusses items of special interest when an assembly occupancy is inspected. 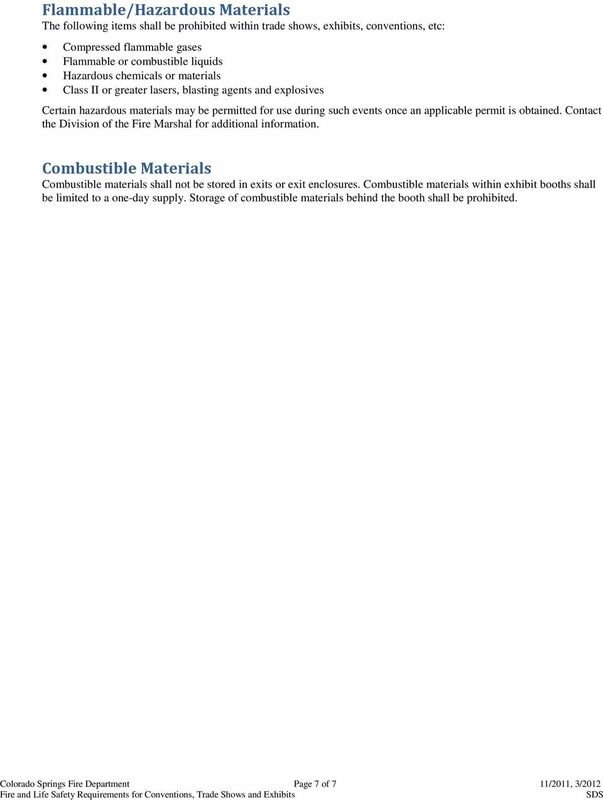 Assembly Occupancies CHAPTER 22. 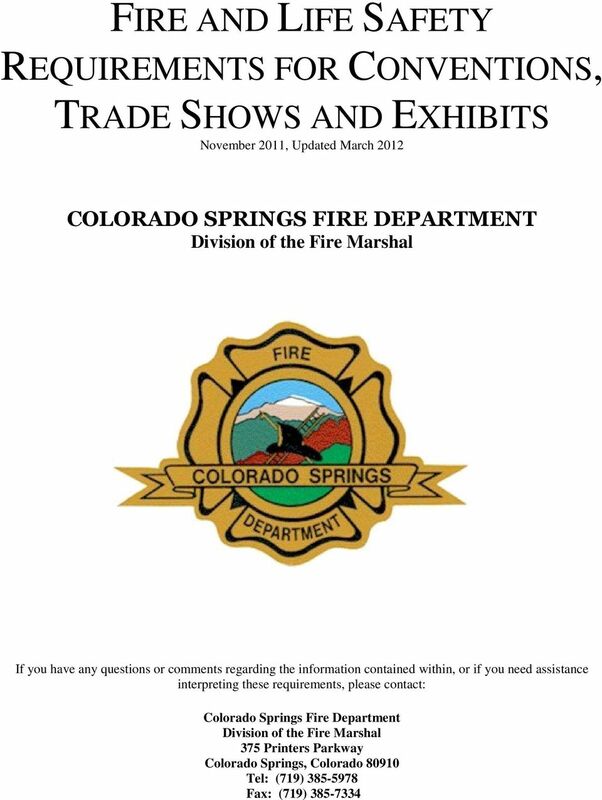 Assembly CHAPTER 22 Joseph Versteeg When a fire broke out in the showroom/theater of a large hotel and casino in Nevada, a sprinkler extinguished the blaze while employees safely evacuated the theater.